Double calendars let you profit from price fluctuations. Options are derivative securities that are related to the price of the stock, foreign currency or other investment that they are connected to. More specifically, an option is the right to buy or sell a specified investment at a set price. You can combine options to overlap in creative ways, creating opportunities to profit on market fluctuations. A double calendar spread is one of these strategies. Options come in two basic forms, both of which are used in a double calendar. A call option is a right to buy a share of stock at a set price, called a strike price, on or before a set date. For instance, if you buy a call option for ABC at $40 when ABC is trading for $39, it probably wouldn't cost you very much. If ABC went up to $45, though, you would be able to exercise your option for an immediate $5 per share profit or sell the option for around that price. Put options are the opposite: They let you sell a stock at a set price. They can be useful for protecting yourself against a market downturn. The risk with options is that they eventually expire and become worthless. In a single calendar option, you buy and sell two options of the same type with different lives. Generally, you buy the longer-term option and you sell the shorter-term option. If you do this with call options, you can profit if the stock ends up anywhere near the price on the options. Behind the scenes, you're profiting from the difference in the length of the options. A double calendar spread is a combination of two calendar spreads -- one with puts and one with calls. 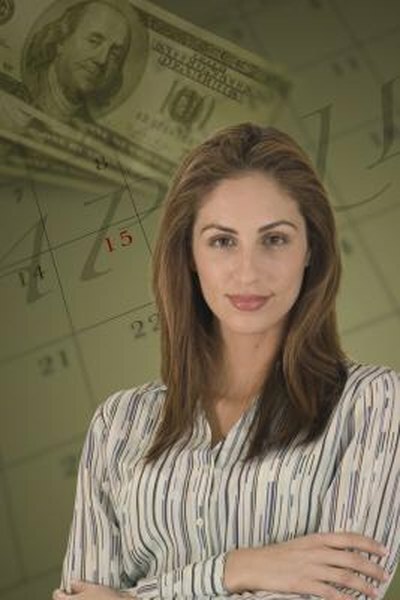 The impact of combining two calendar spreads is to lengthen the time during which the spread generates a profitable trade. Instead of having a profit and loss graph that looks like an upside down V, a double calendar's profit-loss graph looks more like an "M" with two peaks -- a period in the middle where the trade remains profitable but less than at the peaks and two gradually sloping lines on either side. Consider a stock trading around $50 per share as of the end of July. In a double calendar, the trader would sell a put option at $48 for August and buy a put option for $48 for September. At the same time, he would also sell a $52 call for August and buy one for September. He can't lose more than the difference in price between the two pairs of options, but he can profit over a wide range of share prices.